In a moment reminiscent of Ireland in 1994, or Spain in 2011, the nation of Turkey made a giant leap forward yesterday when the leader of the Kurdistan Worker's Party, or the PKK, announced from prison his intentions to establish a ceasefire between his ethnic rebellious group and the Turkish authorities. Calling on his fighters to abandon their weapons and begin participating on the political battleground instead, Abdullah Ocalan effectively initiated the end of conflict that has lasted for nearly 30 years and claimed over 40,000 lives. The implications this will have for Turkey, and the region overall, are virtually immeasurable; furthermore, if the ceasefire is legitimate and remains unbroken, Ocalan's announcement yesterday marks the beginning of a new chapter of history for Turkey, one that is remarkably promising. 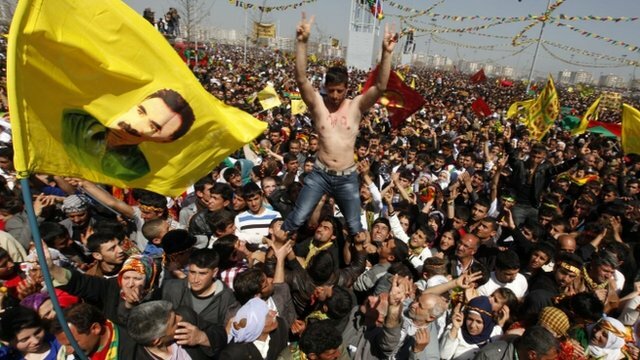 The story of the plight of the Kurds did not begin in 1978 with the inception of the PKK. In fact, the Kurdish people have been persecuted and mistreated for centuries. Always integrated but never assimilated, the Kurds have always felt a lack of identity for the nations in which they have lived, dating back to the Ottoman Empire. Following World War I, there was significant fervor amongst the Kurds and an aggressive attempt to for once, establish their own independent state. Several of these existed, only to crumble and be replaced by yet another over the decade following WWI - the Republic of Ararat, the Republic of Mahabad, the Kingdom of Kurdistan all lasted just one or two years, to give a few examples. By today's borders, the Kurdish people are divided between Southern Turkey, Syria, Iraq, and Iran. In Iraq, the Kurdish people have worked diligently to maintain an amicable relationship with the Iraqi government, although that is still an ongoing effort that is rarely easy. However, in Turkey, the PKK has waged guerilla warfare on the Turkish government since 1984, six years after its inception, not unlike the IRA did in Ireland and the ETA did in Spain. There are two main reasons Turkey should be celebrating today. First is the increased attractiveness of Turkey in their case for joining the European Union. As I wrote back in November, despite the EUs financial maladies of the past several years, Turkey has been eager to become a member. Bridging the gap between the Middle East and Islam, and Europe and Western culture, Turkey should be considered a valuable asset to the bloc of nations (to maintain the brevity of this article, I am entirely excluding the fact that Turkey is a very wealthy nation, and is an incredibly impressive military power - both qualities of which are assets to the EU as well.) But one of the predominant concerns of the EU was the incessant and omnipresent violence in Turkey caused by the PKK. With Turkey being a member of the EU and Europe opening up its borders to them, there is no doubt of the spillover effect that would occur. Without the PKK openly waging war on the streets of Turkish cities, the EU has one very important concern to no longer worry about. 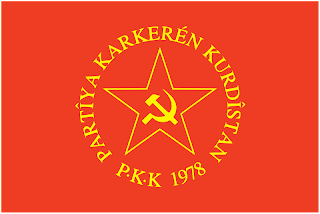 The disarmament of the PKK should also theoretically set a positive example for the Kurdish paramilitary organizations that have been popping up in Syria, Iran and Iraq lately. The PKK were for decades a bastion of independence and nationalism that glorified the war against suppression, and Kurds in other countries began to notice. 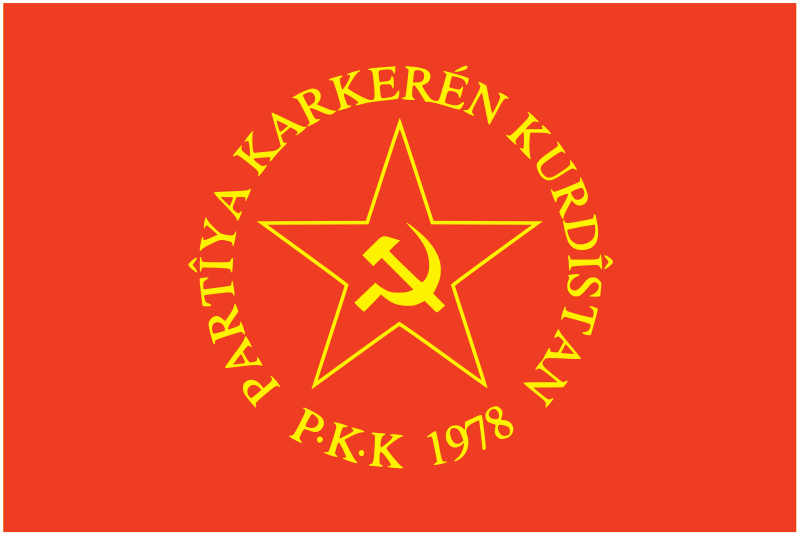 Most recently, a PKK off-shoot called the Democratic Union Party has begun to take advantage of the deteriorating situation in Syria and has been waging their own nationalistic campaign there, to the further detriment of the country. Perhaps seeing a ceasefire in Turkey, where the rebellion started, will help diminish the Kurdish fury elsewhere. While it may not be a downright peace offering, the prospect of a ceasefire between the PKK and the Turkish government is something both parties should be extremely proud of, and work hard to maintain. If the two parties can overcome their difficulties and look to the greater good of the nation, Turkey will have an increasingly attractive future to look forward to.